Seeking Directors, Contractors & Interns! 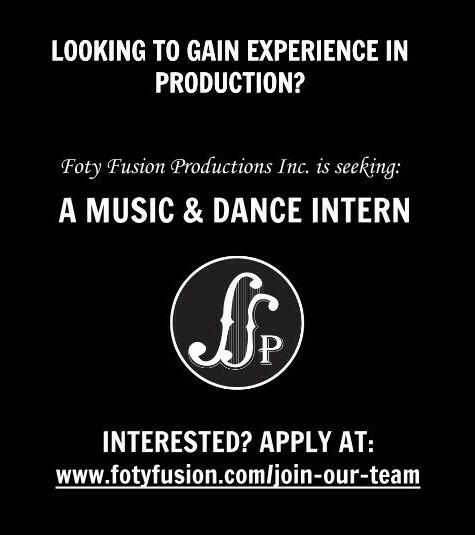 Foty Fusion Productions is always seeking new talent! We are consistently looking for new directors, contractors and interns to join our team. Our internship program provides students of all ages the opportunity to gain hands-on internship experience in the arts. This program allows students to shadow various members within their field of interest, introducing them firsthand to the necessary skills needed to succeed in their given field. Students will have the chance to assist in the production of a documentary film, coordinate social justice workshops in public schools, design a new logo for a company, photograph an event, create a website for a non-profit organization, or work in early childhood music education. This internship program seeks to establish a supportive network for youth interested in the arts, who through obtaining practical experience can learn that a profession in the arts can be a fulfilling and viable career path. Foty Fusion Productions prides itself on locating a diverse pool of young talent in film schools across the U.S. and globally. We are energetic, motivated, efficient, and work at a competitive rate. We offer a fresh perspective that draws upon the innovation and creativity of a new generation of film-makers. Our team offers a full range of professional production and post-production services. 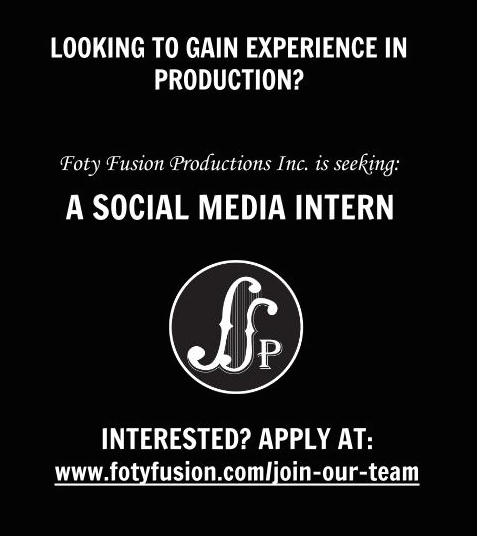 In addition, Foty Fusion Productions creates original film content that challenges the dominant mode of representation in our ever-changing digital world, with cutting-edge innovation and unique conceptual design. If you are interested in applying for a Director, Independent Contractor or Intern position, please fill out the application below and send your CV to info@fotyfusion.com.